How many stars do you give Badgal Bang Mascara by Benefit? Benefit Badgal Bang Mascara is available to buy at Benefit Cosmetics, Fabled, lookfantastic, HQhair.com, John Lewis, Cult Beauty, ASOS, Debenhams, Feelunique, and allbeauty.com. I am in my late teens with acne/problem, light tone skin and unknown eyes. My hair is unknown, unknown with unknown texture. I was very sceptical when first trying this, as I always am when moving to a new mascara (I'm not a fan of the clumpy, spidery look) but I have honestly not looked back since! My lashes are now fuller, longer and so much more lifted using this mascara, and who doesn't love a dramatic eyelash all in one product?! It's definitely more on the pricey side than what I used before, but 100% worth every penny! MakeUpGeek, Frantastic91 and Amestarz like this. This mascara is fantastic. I have long eyelashes but with this there's no need for false eyes lashes. I am in my late 20's/early 30's with combination, fair tone skin and unknown eyes. My hair is unknown, unknown with unknown texture. MakeUpGeek, nikola300 and mummabear5 like this. I was bought this by a family friend a while ago. I was curious of what it would do to my very straight lashes. It is amazing. 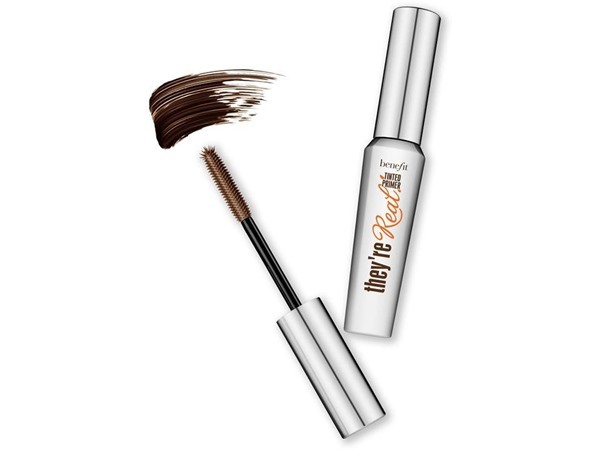 It curls, lengthens and volumises my lashes. I've bought many more of these tubes since and I would never revert back to my old one. The price was a little high for what I usually buy but worth every penny. I am in my late teens/early 20's with acne/problem, light tone skin and unknown eyes. My hair is unknown, unknown with unknown texture. MakeUpGeek and nikola300 like this. I bought this mascara by mistake, as I opened the bottle the brush is not like the usual wands, on my first lash brush I could see a difference at how long my lashes became, once done my 2 eyes My lashes looked the best they have been in a long time, I recieved lots of compliments in my work this is definitely the best mascara for me and I’m hooked. I am in my late 40's/early 50's with dry, light tone skin and unknown eyes. My hair is unknown, unknown with unknown texture. I first got it in a subscription box an was so sad when I ran out! It is more expensive than I like to pay for a mascara but you definitely get what you pay for with this mascara! I tried to use other mascaras but none match up to this. Definitely buying again! I am in my mid 20's with dry, light tone skin and unknown eyes. My hair is unknown, unknown with unknown texture. MakeUpGeek, Ashli and Amestarz and 2 others like this. I got this in a beauty prescription i think it was glossy box and i have loved it since. usually i cannot stand having a full glam makeup look without lashes, and yet with this i can! i have never loves a mascara wand as much as i have with this. no clumps or lumps were made when applying either! ten out of ten in my opinion! MakeUpGeek, Amestarz and nikola300 and 1 others like this. If you love to define your lashes then this is the mascara for you! It’s inctedible in making lashes look thick and long and very dark. My lashes have never looked as beautiful as they do when I am wearing this mascara. Great product. The only thing I would say is that it takes absolutely ages to remove. It’s definitely a price I would pay for great lashes though! I am in my mid 20's with combination, fair tone skin and brown eyes. My hair is red, combination with normal texture. MakeUpGeek, Amestarz and nikola300 like this. I'm absolutely in love with this mascara I have really short eye lashes but since using benefit I can notice the difference. It's easy to apply & clump free. I am in my late 20's/early 30's with combination, light tone skin and unknown eyes. My hair is unknown, unknown with unknown texture. MakeUpGeek, Ashli and Amestarz and 1 others like this. The first time I used this mascara I was SHOCKED at how amazing my lashes looked. It 100% looked like I was wearing fake lashes! It did clump a little, but I think the before and after pictures above give an accurate representation of what this mascara can do. There isn't any flaking or smudging throughout the day, but it is a little tough to get off. My main issue is that while my lashes looked phenomenal for about a week, it's wow factor quickly died down and ended up looking like most of my other super volumizing mascaras. The Essence Lash Princess mascara looks pretty similar to Badgal Bang, and for the price difference (£3.90 vs £22) I would choose Essence. However, I would repurchase Badgal in those mini Christmas sets since you get such a great deal in them! I am in my late teens/early 20's with acne/problem, fair tone skin and hazel eyes. My hair is blonde, oily with fine texture. Ashli, Lickle-Boo and BhavyaM and 6 others like this. 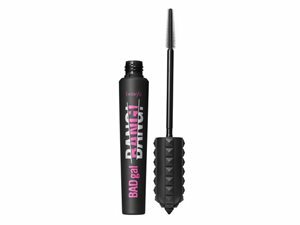 I must admit I am a big fan of Benefit Cosmetics mascaras and am pleased to say that Badgal Bang has joined the list. One word of advice don’t poke yourself in the eye with the wand – I have done it a few times and it hurts believe me. The brush looks like a Christmas tree which makes covering the lashes at the inner and outer corners of the eye brilliantly by using the tip of the brush. One dip of product is enough to cover both top and bottom of both eyes. One swipe of the product along my eyelashes and they are perfectly covered. I would suggest covering bottom eyelashes first then your top lashes and if your lashes are like mine have a cotton bud or beautyblender handy to remove mascara from your top eye lid. I don’t use the wand vertical to apply my mascara to my bottom lashes I use it horizontally, to me it gives a better coverage and I don’t have gaps like I would if I used it vertically. I hope that they bring this mascara out in other colours such as green and blue. I am in my late 30's/early 40's with sensitive, fair tone skin and hazel eyes. My hair is dark brown, normal with coarse texture. Amestarz, nikola300 and ProseccoPrincess like this. I am in my late 20's/early 30's with dry, medium tone skin and brown eyes. My hair is dark brown, asian with normal texture. GlamGeekClaire, Amestarz and nikola300 and 2 others like this. I am in my late 30's/early 40's with normal, light tone skin and blue eyes. My hair is black, normal with normal texture. Amestarz, nikola300 and Brooke500 and 1 others like this. I am in my teens with combination, light tone skin and hazel eyes. My hair is medium brown, normal with normal texture. I absolutely love this mascara it really makes your lashes stand out. Not only does it lengthen and separate but adds volume too, even when my natural lashes are not at their best this mascara still makes them look amazing. Have bought this a few times now and is by far the best mascara I have tried and I have tried a lot over the years. I am in my late 30's/early 40's with combination, light tone skin and unknown eyes. My hair is unknown, unknown with unknown texture. GlamGeekClaire, MakeUpGeek and Lickle-Boo and 4 others like this. 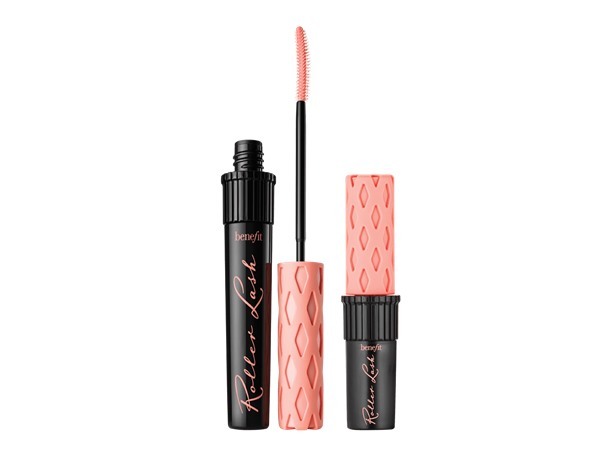 Love the way the Benefit Badgal Bang Mascara looks i only applh two coats of this and it give me the great big, volumized ans full eye lash look. Great product for those with sensative eyes. Stays in place all day does not crumble and come over very quick with misceller water. I am in my late 20's/early 30's with oily, tanned tone skin and brown eyes. My hair is black, combination with fine texture. MakeUpGeek, Amestarz and BeautyOnABudget and 2 others like this. 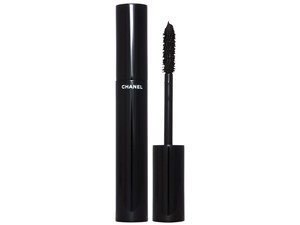 This is a great mascara for a glam evening, it gives long but extremely voluminous lashes. 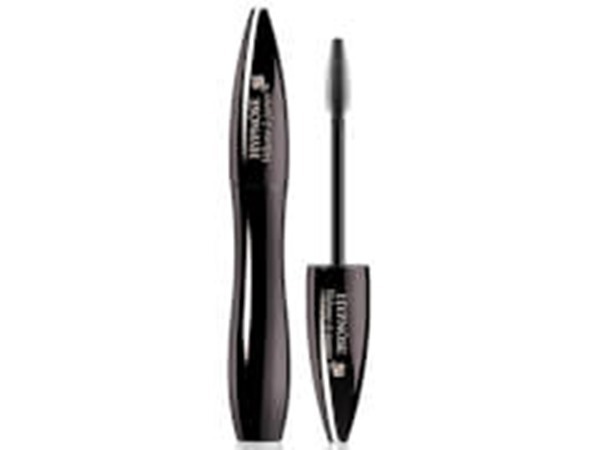 Unfortunately as is common with volume adding mascaras, it has a tendency to get quite clumpy and more than one application causes lashes to stick together. With a gentle hand this can give great results but perhaps not worthy of the price. Amestarz, HellovaSyn and Brooke500 like this. 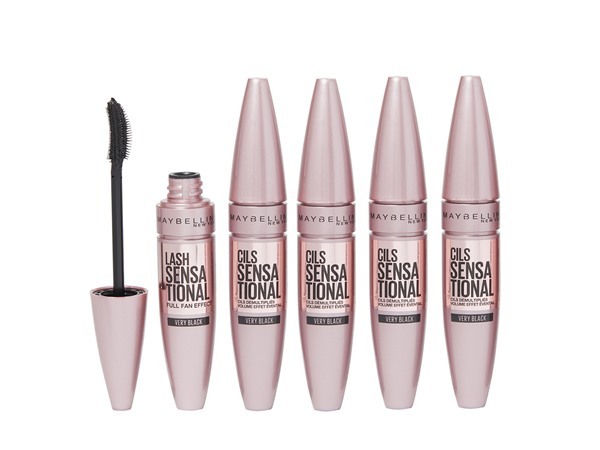 I really do love this mascara it really adds on to your normal lashes and is by far the best mascara I’ve used.Also the price in my opinion is so good for such a good mascara, when I ordered this I didn’t expect it to be as big as it was and it seems like it will last so long I take it every where with me no problem.This mascara is for you if you’re not really into clumpy eyelashes.Theres a tiny tiny bit of clump like there is in every mascara but the main feature that I love is the length of my eyelashes after applying, I also love the fact if dosent clump.I would definitively purchase this item again. GlamGeekClaire and Sabz2091 like this. So a sales assistant tried this mascara on me whilst I was walking by the benefit stand in Debenhams. Before I could even see the results I saw my friends jaw drop. This mascara gave me long black lashes and made my non-existant lashes look like fake lashes . I obviously bought it straight away and have repurchased it too! The only one minor negative is that it crumbles/flakes a little however, I love the way it makes my lashes look. No drugstore or other luxury mascara can compete with this! Buy it and thank me later .. I am in my mid 20's with combination, fair tone skin and brown eyes. My hair is dark brown, dry with normal texture. GlamGeekClaire, MakeUpGeek and saffbeauty like this.